Life after forty five. Described by many as... Old. Over the hill. Washed up. Done. Gentle reader, check your societal conditioning at the door and step into the next phase of your beautiful life! We on the leading edge of the Gen X wave, in the forty-five to fifty age range are not anywhere near done. We are just getting going! We are secure in our lives, established and grounded. We have raised our children or are getting very close to sending them off into the wide world and many of us are free to now pursue new passions, follow our dreams, do our own thing. My own thing, my passion, well... You're reading it. One beauty category I cover often in this blog is skin care. Taking proper care of our skin is crucial, especially as we mature. Lines and wrinkles are inevitable, there is no stopping it but properly hydrated skin is radiant and plumped, the signs of aging temporarily softened, diminished and the complexion appears fresher. vital and more youthful. Origins is skin care that is powered by nature, proven by science. 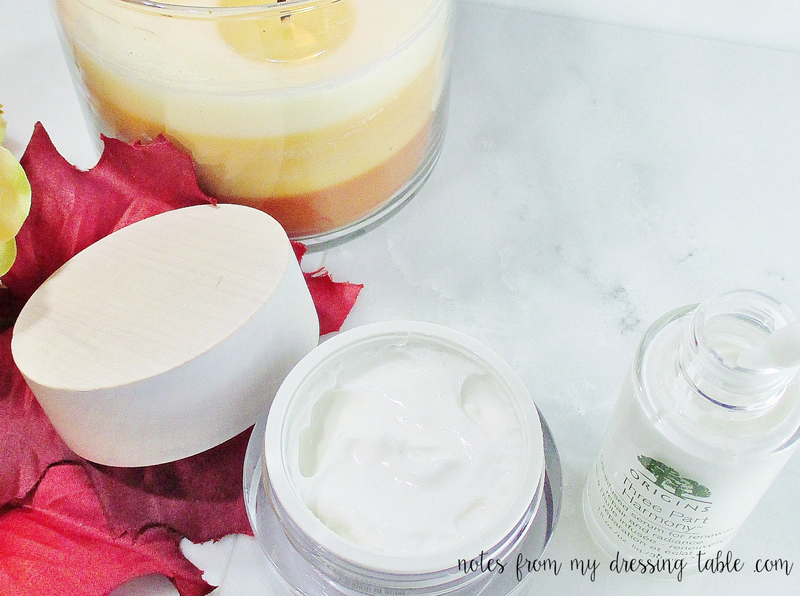 I was recently offered the opportunity to receive and try two beautiful new products by Origins. 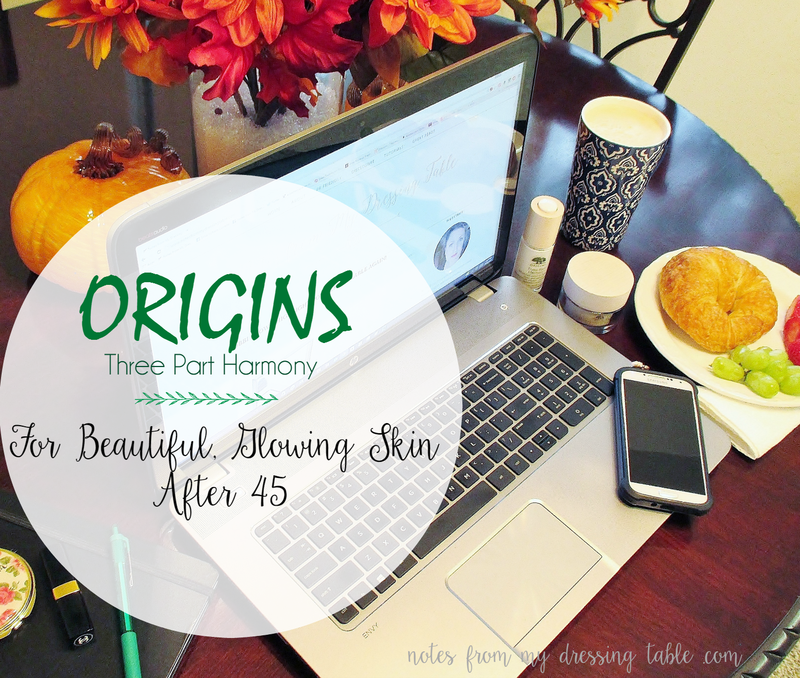 I received the Origins Three Part Harmony. a two piece collection comprised of an Oil Infused Serum for renewal, repair and radiance and a Nourishing Cream for added hydration and an enhanced, natural glow. Let's take a look at these two products. This unique skin-quenching oil infused into a skin-comforting concentrate with deeply nourishing Theobroma Seed Butter and natural lipids helps renew skin’s hydration levels. With Tazetta Lily Bulbs and Myrtle, it helps produce youthful supplies of natural collagen to help visibly repair skin’s structure. Fine lines and wrinkles are softened. With Omega-rich Crambe Oil and Scutellaira, it helps impart a healthy, vibrant glow and refines tone. This milky, nourishing serum drops almost instantly into my skin to immediately nourish, renew and refresh my complexion. The hydrating power of this serum is astonishing. I applied this one day, after cleansing and didn't apply an additional moisturizer... I got sidetracked, got on to doing other things and didn't think about it. I went to bed that night and woke the next morning and my skin still felt fairly moisturized and comfortable. For a serum to hydrate my very dry skin that well, I am blown away. Seriously. Impressed. This is a gorgeous product. This intensely rich cream with Tazetta Lily Bulbs, White Myrtle and Japanese Knot Weed helps produce youthful supplies of natural collagen to help visibly repair skin’s structure. Fine lines and wrinkles are softened. With deeply nourishing plant butters plus Vitamin E, this luscious cream renews skin’s hydration levels. With Scutellaria, it helps reveal radiance, refine tone and brighten skin to impart a healthy, vibrant glow. This rich, hydrating cream spreads readily across my skin, sinks in easily and deeply hydrates to plump up my fine lines, temporarily improving the signs of aging and give my skin a lovely glow. I like this cream, I think it is going to be wonderful for those cold, dry Winter days coming up fast. 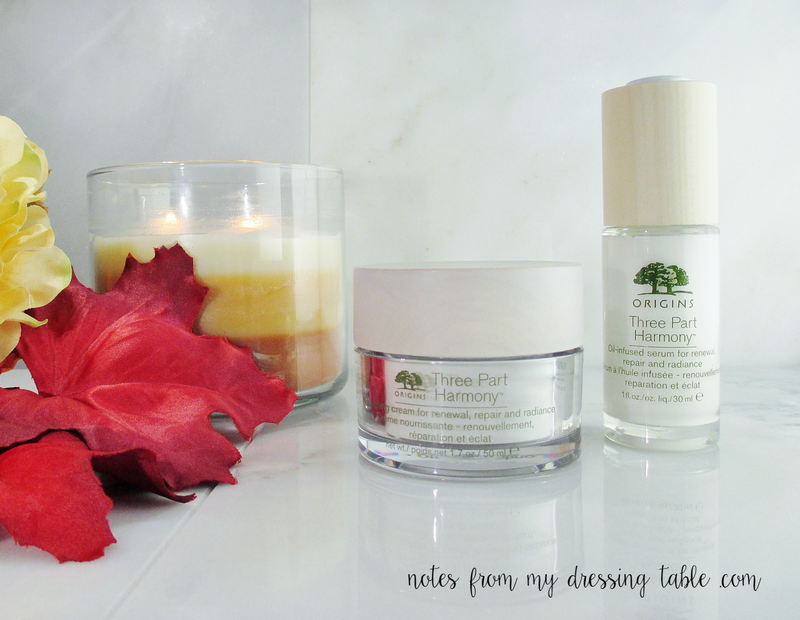 The quality of these products is truly lovely and perfect for anyone looking to be truly radiant. Embrace your unique beauty, flaunt your wisdom and share your knowledge with others. Don't hide your light, let it shine. Youth is beautiful. Aging is a privilege and it is glorious. Do it beautifully, every day. What are your favorite steps, at your age to achieve beautiful, glowing skin? How are you following your passions. sharing your growing wisdom?